The Denver Nuggets travel to Little Caesar's Arena to face the Detroit Pistons in an interesting match. The Nuggets have been on fire of late, going on a 6 game winning streak, and they have also won 8 of their last 10 matches. They are currently at the top of the Western Conference, with a 37-15 record, and have really proven themselves as title contenders. Meanwhile, the Detroit Pistons are struggling this season and don't look like a team ready for the playoffs. They are currently 9th in the Eastern Conference, with a 22-29 record. They have won just 4 of their last 10 games and are not likely to get on a winning streak anytime soon. The Denver Nuggets won their last game against the Houston Rockets convincingly, 136-122, while the Detroit Pistons did not look great against a competitive Los Angeles Clippers, losing 101-111. Denver Nuggets: Guards Jamal Murray (ankle), Gary Harris (groin) are considered day to day while Isaiah Thomas (hip) does not have a return date yet. Forward Michael Porter Jr. (back) is also considered out indefinitely. Detroit Pistons: Forward Henry Ellenson is sidelined with an ankle injury and is on the day to day monitor. 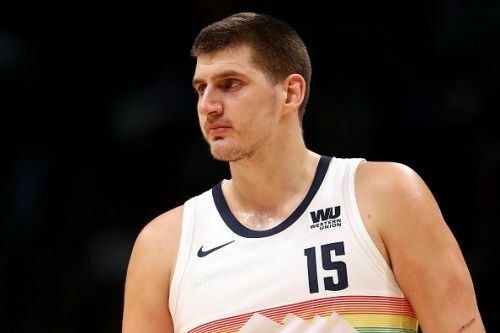 Nikola Jokic has been playing at an elite level this season, exceeding almost all expectations and showing truly what an amazing player he has developed into. He has led the Nuggets from the front, even with all injuries that have bogged them down throughout the season, Jokic has managed to keep them afloat. Jokic has been superb, averaging 20.2 points per game, along with 10.5 rebounds and 7.7 assists a game, which is truly amazing for a big man in the NBA. The Pistons will have a tough task stopping Jokic, given his adept ball handling skills and superb 3 point shooting ability. Blake Griffin is probably the only player capable of taking on Nikola Jokic this season for the Pistons. With Drummond not comfortable away from the paint, Griffin will have his hands full. Griffin though, has been absolutely superb this season for the Pistons, a superstar rejuvenated. He is averaging 26.2 points per game, along with 8.2 rebounds and 5.3 assists per game as well, earning him a call to the All Star Game this season. His defensive numbers have never been great, but he is still able to average more than 1 steal and block a game. It will a great matchup against Nikola Jokic and the Nuggets need to contain him to get a win. The Denver Nuggets are on a 6 game winning streak and probably will end up winning the game on the road against the Pistons. 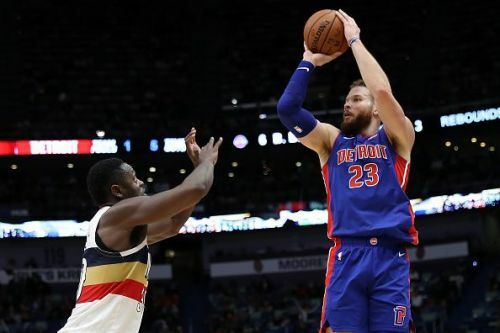 They have continued to beat teams like the Pistons rather easily this season and the form that they come into this game with is really good. The Pistons, on the other hand, have been woeful for a while now and do not instill any confidence coming into this one. Barring another injury to a starter, the Denver Nuggets should be looking to keep the top spot in the Western Conference.